In a continued effort to raise awareness on space applications and related sectors, the Malta Council for Science and Technology (MCST) is being supported by the European Space Agency to embark on a Space Education Programme for all primary, middle, secondary and post-secondary schools in Malta. In the 2018-2019 scholastic year, the Council plans to launch two exciting activities as part of this Space Education Programme: CanSat and Astro Pi. All kits, together with the necessary teacher training, will be provided for free to a selected number of schools. Get in touch at space.edu.mcst@gov.mt for more information! A CanSat is a simulation of a satellite that fits in a soft drink can. Following assembly and testing, CanSats are launched to an altitude of a few hundred metres by a rocket and the mission begins: to carry out a scientific experiment, achieve a safe landing and analyse the data received. 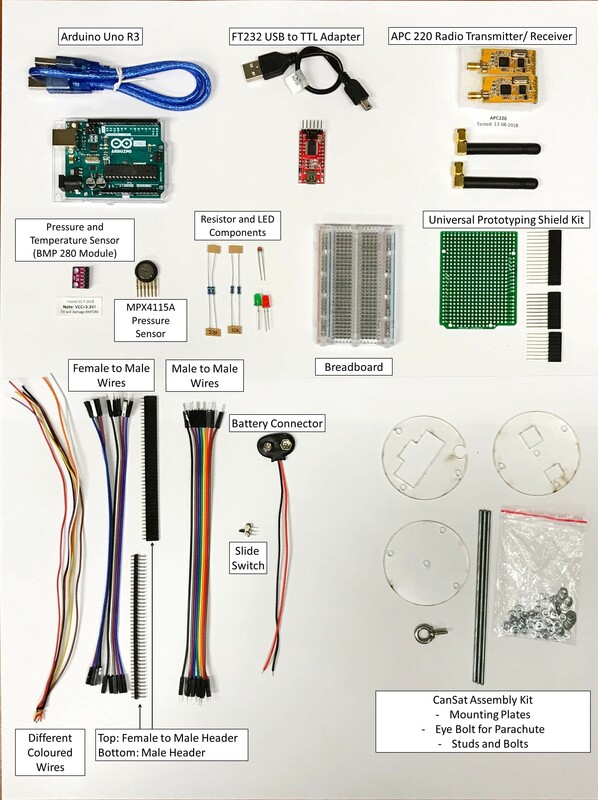 On submitting an application, ten secondary and post-secondary student teams will be provided with a free kit to develop a CanSat that completes the mission outlined in the application form. Led by a teacher, the team will design the CanSat, selecting its mission, integrating the components, testing, preparing for launch and then analysing the data. The best team wins a ticket to travel and participate in the European CanSat competition. Note: On 28th March 2019, the CanSat Malta 2018-2019 rocket launch was held in a joint event that launched Malta’s Vision for a National Space Strategy. AstroPi is a coding activity where student-written code is run on the International Space Station! The activity, which is coordinated by the European Space Agency, is subdivided into two competitions targeting primary and middle school students. A non-competitive mission for young people no older than 14. This mission is ideal for primary and middle school students. Write a simple Python program using free online tools. No special hardware or prior coding skills are needed all programs that follow program rules are guaranteed to have their program run on the International Space Station! Mission Zero 2018/19 application is now closed. Next call in September 2019! A scientific mission for young people no older than 19. Design an experiment, receive free computer hardware to work with, and write the Python code to carry it out. Your code could be uploaded to the International Space Station and run for three hours (two orbits). Get your results back from space and analyse them like a real space scientist! Mission Space Lab 2018/19 application is now closed. Next call in September 2019! MCST personnel are currently visiting secondary schools to deliver an information session related to the Astro Pi and CanSat activities. This short meeting includes an introduction to these activities and detailed information on how to apply. Any interested teachers or school representatives may schedule an information meeting by getting in touch at space.edu.mcst@gov.mt or 2360 2209. Space Education Programme Introductory session: On 24th May 2018, teachers and representatives of schools and colleges, were invited to attend an information session that introduced the AstroPi and CanSat activities. The information session, which was held at the Malta Council for Science and Technology, provided a brief overview of the activities. The delivered presentation is accessible here.